There seems to be a name for each of the days after Thanksgiving to spur shopping – Black Friday, Small Business Saturday, Cyber Monday, Local Tuesday – which is all well and good. We are learning more and more, however, that these shopping days, which once held a stronger distinction, are becoming more and more just clever names. Holiday online shopping season always produces storylines and reveals trends, such as the latest data breach, surges in e-commerce and the countries in which it is most popular. Here are five things the good folks at Instabill picked up on this year. Not surprisingly, online shopping continues to increase. 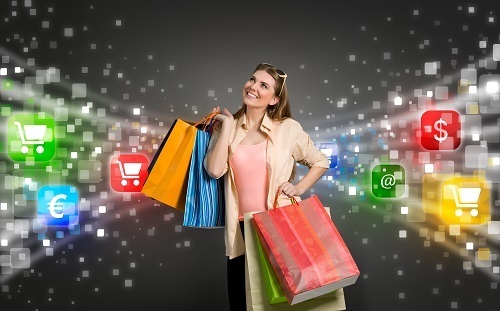 According to IBM’s Digital Analytics Benchmark Report, online shopping was up 13 percent from Nov. 1 through Dec. 31. Back to my earlier rant about shopping days such as Black Friday and Cyber Monday. Evidently, Thanksgiving has become a huge day for online shopping. Thanksgiving e-commerce increased more than 14 percent from 2014. Seems more consumers are shopping online after dinner. EMVCo informed us on Dec. 16 that 33 percent of all card payments worldwide, from July 2014 through June 2015 were made with an EMV-enabled chip credit card, 10 percent more than one year prior. With U.S. consumers finally (slowly) migrating to chip-enabled credit cards, that figure can only grow. Mobile device shopping – smartphones and tablets – accounted for nearly half of all internet sales during the holiday shopping period. We’re curious to know how much showrooming occurs, though it would be difficult to measure. As reported by CardNotPresent.com, consumers are shopping online later than ever, right up until Dec. 22 and 23 when online retailers such as Amazon offer free and discounted shipping to woo sales in the final days. With Amazon and other major retailers testing drone delivery, it’s safe to say online shopping could someday stretch into the wee hours of Christmas morning.